We've been dipping into the Family Lent e-Book over the last few weeks & one of the activities which has been popular with our family has been the post-it note prayers. Here's how they've made an impact in our home. The post-it note prayers are such a simple activity to set up & they're accessible to all members of the family regardless of age. To help make our post it notes stand out we stuck them onto a coloured strip of card & printed off a little note to remind us what they were for. We used our post-it notes to pray for our family (including our church family & friends) & soon realised these notes were offering each of us a way to not only express our thoughts & prayers, but also a way to share & pray together for those situations & people. 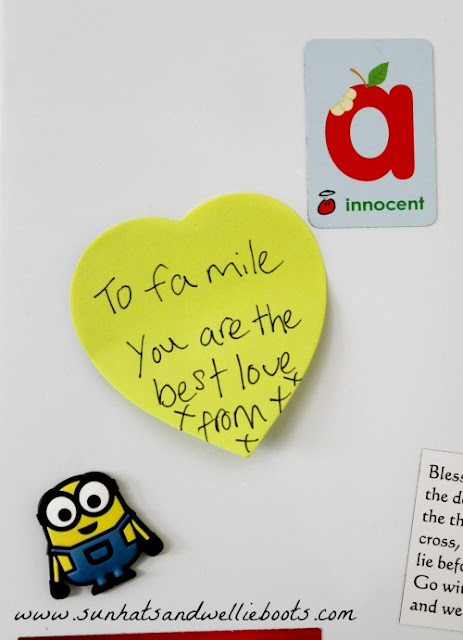 There are some things which of course are easier to express than others, but the opportunity to write or draw on a post it note seemed to offer a safe & easy way to share any worries, concerns or issues that may not have otherwise been acknowledged. Worries over situations at school, or friendship issues were being shared on the notes & we were able to talk about these, offer advice & pray together as a family for individual issues. These sticky notes also gave us a fun opportunity to tell each other "I love you", & it was a joy to find a surprise post-it note stuck to the kettle, door, pillow, or fridge. The cutest was finding one in my coat pocket while I was out. 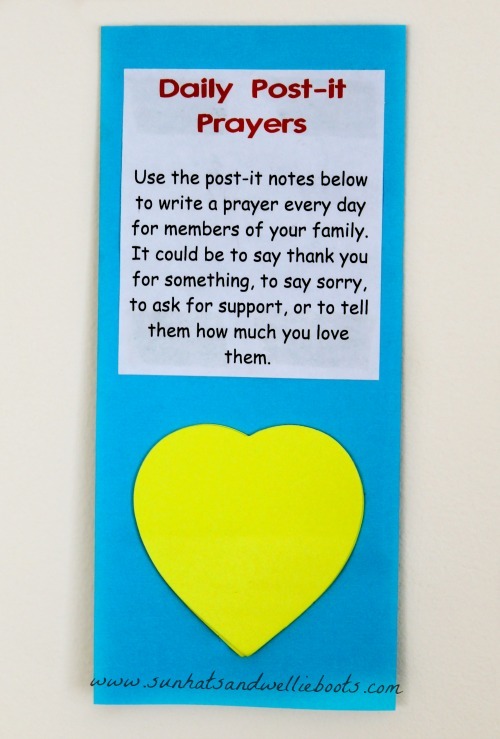 What a great way to encourage kids to pray & give thanks for family & friends, & a neat way to remind your kids just how much they are loved. We've continued to use these post-it prayers & it's become part of our evening meal routine to light a candle & pray for those mentioned, as well as giving thanks daily for each other & those little things that we so often take for granted on busy days. 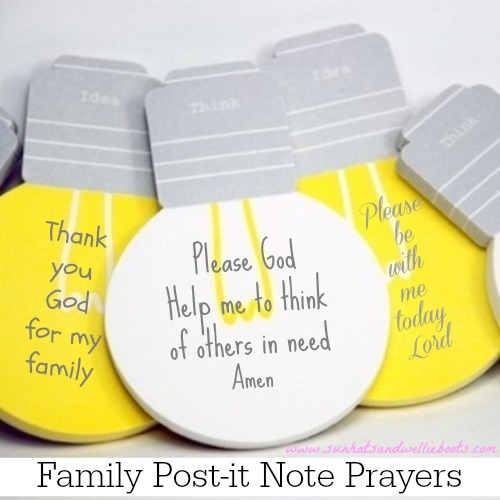 However you use these sticky note prayers I hope they're as much of a blessing to your family as they've been to ours. Looking for more prayers activities? You might like our Desert Sand, Prayer Tree or Blessing Pebbles.